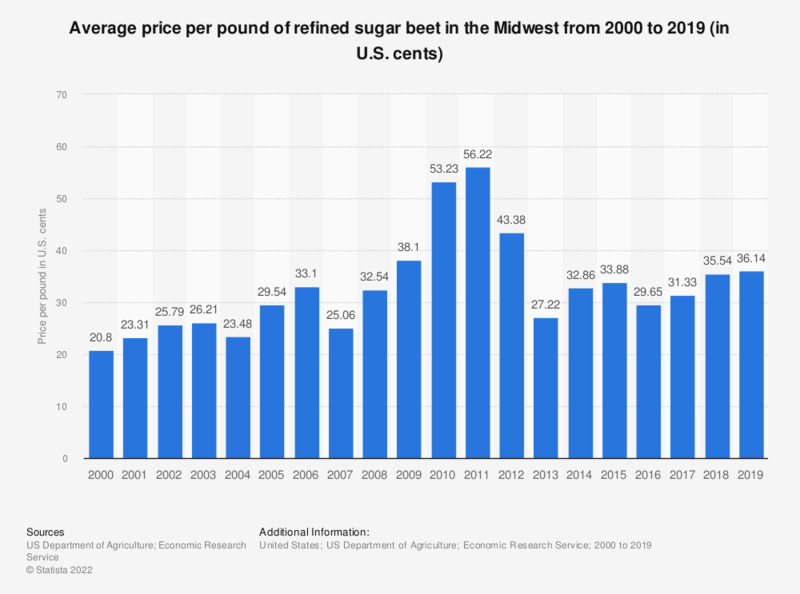 This statistic shows the average price per pound of refined sugar beet in the Midwest from 2000 to 2017. In 2017, one pound of refined sugar beet in the Midwest cost 31.33 U.S. cents, down from 32.86 U.S. cents in 2014. This statistic was compiled from several USDA annual statistics reports.